There’s a saying out there that goes “imitation is the greatest form of flattery”. As we know, nothing out there can be truly original and even if it’s small, inspiration is taken from many different avenues especially from things that we tend to love. It’s a fine line to walk when you use something as a primary source of inspiration because it can quite easily fall into the realm of being derivative or a “watered-down” version of the original. 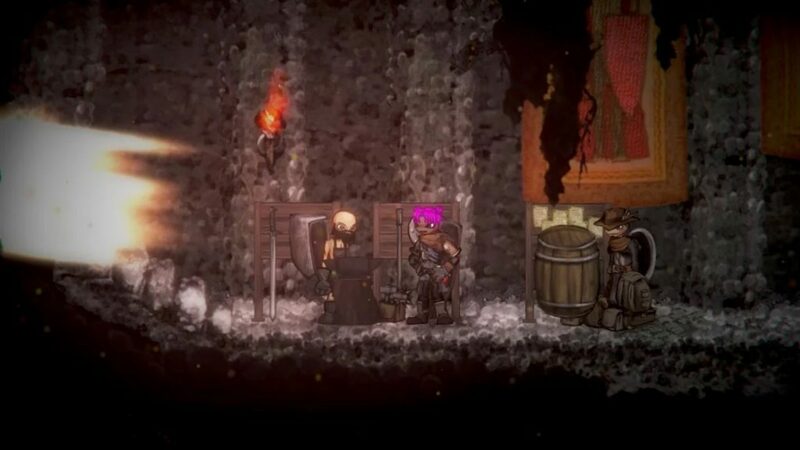 Salt and Sanctuary precariously dangles on this line but manages to keep its balance in a way that makes it a unique experience. This game is 2D Dark Souls, and this comparison is rather concrete and even celebrated by fans of this particular style of ultra-difficult RPG adventures. It wears its inspiration on its salt covered sleeves. The UI is undoubtedly in the style of a Souls game, the deliberate obfuscation of exposition is there, the combat is unforgiving, bosses play a central roll in the gameplay experience and you even have salt that can quite effortlessly be compared to souls. You can almost call it a blatant rip-off, but this isn’t a retracing of a Souls game, it’s a painting done with the brush and paint of an established and acclaimed series. Ska Studios are known for their unique art style and they didn’t make an exception for this game at all. The game is dark, gloomy and infinitely repressive with just a little bit of silliness added to the mix. Everything is painstakingly hand-drawn in a gothic aesthetic that radiates creativity and the various aspects of the game are realised beautifully in this style. Your custom character looks a little derpy no matter how you try and make them, but this is not unlike the character designs of their previous games. However, the bosses are anything but derpy with these often monolithic creatures with intricate details that give them this palpable creativity and unique flavour. This repressive art style is the perfect fit for the goal of this game which is to deliver a brutal experience that will refuse to hold your hand. When you’re introduced to the game, a monster from the deep bodyslams you into oblivion and you get transported to a world and given no clues about where you are and what you have to do. This is where the Souls inspiration rears its head as everything is obfuscated and you need to find your own way forward and deduce from item descriptions and small contextual clues about what’s going on in this strange place. Your chosen class at the beginning of the game gives you a nice baseline of what style you want to play the game in. From being a traditional warrior to a wizard and even a chef wielding a deadly ladle, it’s all up to you. There are no objective markers or quest logs to be found, it’s just you and the world in front of you. It’s pure discovery, even if it can get a little frustrating when you’re stuck in an infernal loop of not knowing where to go next. You’ll explore areas filled with nasty enemies that can sometimes one-hit you if you’re not careful and your most obvious objective is to find a boss. Once you defeat that boss, often through multiple attempts and frequent hair ripping, you get access to new areas or abilities that allow you to progress. This whole process is what made the Souls games so unique and enjoyable in the first place and Salt and Sanctuary understands this and runs with it. The game takes place on a 2D field and this brings along the challenges and finer points of this perspective. Combat is frantic with you dodging out of the way of attacks, using your shield as defence and using your various weapons to bring the pain. There’s no one definitive way of describing the combat because there are so many methods that you can use. Huge bulking swords, fast daggers, magical spells, ladles etc. all have their own unique styles of gameplay. Some are much more difficult to master but offer bigger potential while others are safe but relatively static. 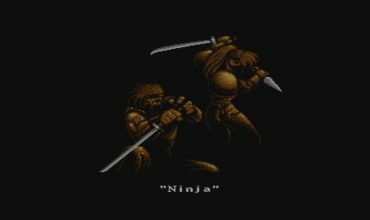 It can be dangerous to specialise in one thing if you’re relatively inexperienced which I learned the hard way by sticking to a combat style that made the game much more difficult and I had to restart from scratch. But that’s just the name of the game in this genre. You will also be doing a lot of platforming and the controls are nice and responsive for traversal. Your character isn’t a dashing madperson that speeds along the place, the mobility is a bit more methodical than other traditional platformers. You can fall to your death, which I have done many times, but most of the time it’s from pure stupidity rather than the controls being at fault. There’s also much to discover on your way such as some loot, optional areas and characters that also follow the Souls style of being absolutely weird. Some Metroidvania features are also thrown into the mix with abilities being unlocked that allow you to reach previously unreachable areas. The repressive art style is the perfect fit for the goal of this game which is to deliver a brutal experience that will refuse to hold your hand. You also get sanctuaries which are this game’s analogue to bonfires where you can rest and get your health items refilled. Different from Souls games is the ability to summon particular vendors at these sanctuaries like blacksmiths and scouts that allow travel between the sanctuaries where there is another scout. It adds a small layer of strategy to the rest areas that is appreciated and there are also creeds that you join that offer special bonuses and abilities. The creeds are important since they take the form of a sanctuary and depending on your allegiance to one, you get extra items or abilities based on that creed. There are two currencies in the game namely salt and gold. Salt is essentially souls, points you gain from defeating enemies and bosses, that you use to level up your character, but the progression system is a lot more complicated since you’re given this gigantic skill tree to choose abilities from and it all depends on you how you want to spec your character. The skill tree is undoubtedly intimidating, but once you get a feel for the progression you want, it’s pretty simple. Like souls, salt can be lost when you die and it usually gets snatched up by a monster that you need to defeat to get it back. If you die again before retrieving your salt, it’s lost forever. That’s the basic outline of the game, but beneath the surface is a whole iceberg worth of content. Item descriptions provide some context to this crazy world and much like a Souls game, it’s entirely up to you to figure out the lore and the world building since it won’t be given to you on a silver plate. The task feels mountainous at times as you slowly progress through the dark and dreary areas of the world and fight fearsome bosses, but once you have your bearings, it can become an addictive experience. There’s a lot to go through and the areas become more elaborate as you go, keeping that sense of discovery alive as you go on. It’s tough as nails, that much cannot be denied. I struggled quite a few times even with the basic fodder enemies on the field and boss fights are these exercises in patience and skill, but that’s what makes games in this genre so enjoyable. The overcoming of overwhelming strife and getting rewarded for it. 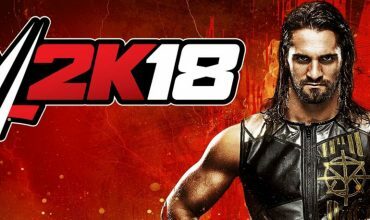 The sheer amount of content on offer is also impressive and you can potentially play this for hundreds of hours if you choose to delve deeper into the new game plus stuff and getting all the secrets and items. Value for money is certainly not something you have to worry about. The problem that does arise is the fact that the game is so inspired by the Souls series. It does enough to differentiate itself, but much of it feels like ground that was already trod in a better way. If you haven’t played a Souls game in the past, everything will feel fresh and new, but if you have that context, it feels like deja vu on a 2D plane. But like I eluded to in the introduction, the game doesn’t feel like a rip-off, but rather a variation of a Souls game. It achieves this with its unique art style and the implementation of its various systems and did just enough to assuage any accusation of plagiarism. I enjoyed Salt and Sanctuary for what it is. I don’t consider it a masterpiece like some Souls games would be described, but it’s certainly a triumph. It took its inspiration and made something special from it. 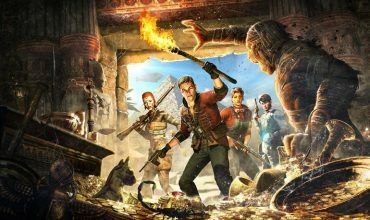 Some parts of the game felt a little rough around the edges, but those didn’t hamper the experience too much. The Switch version of the game is definitely the best way to play it on the go and it fits this game really well too considering a lot of it is grinding and exploration. I’m also happy to report that the port was done wonderfully barring a few frame drops during some busy scenes. If you’re a fan of Souls games, this is a great title to explore. If you’re not, maybe this can be a good introduction to the ultra-hard genre that sometimes swallows you up. 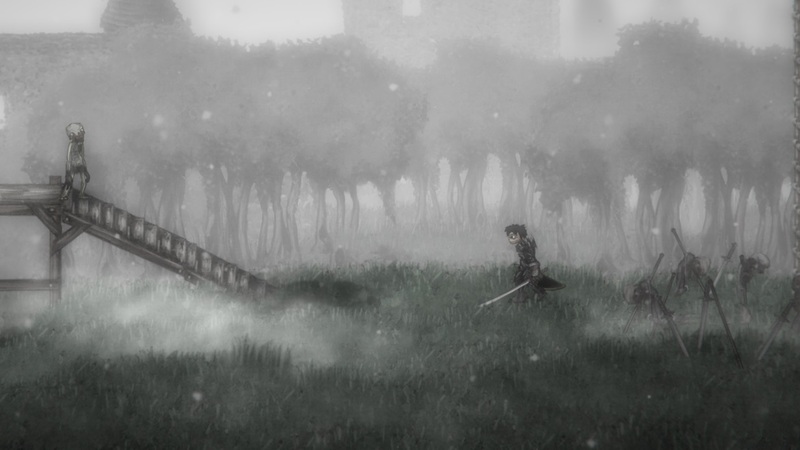 Salt and Sanctuary wears its obvious inspiration on its sleeve. It takes the magic ingredients from the Souls franchise and makes something of its own on a 2D plane. 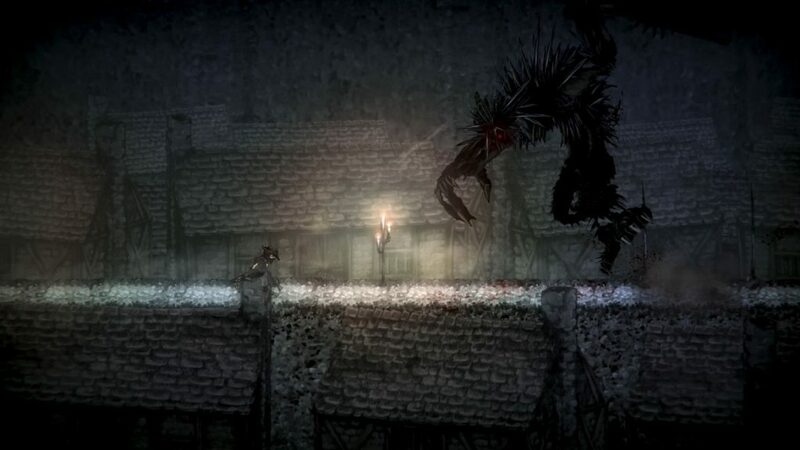 All of its individual aspects gel well to create an ultra-hard side-scrolling adventure through the dark and dreary. The Switch port is well done and makes it the perfect way to die horribly wherever it is convenient.